Until 1901, the Grand Canyon had been a mysterious and inaccessible destination that was seen only by the most determined visitors. This changed on September 18th that year, when the first Santa Fe Railroad Company train arrived at the south rim. 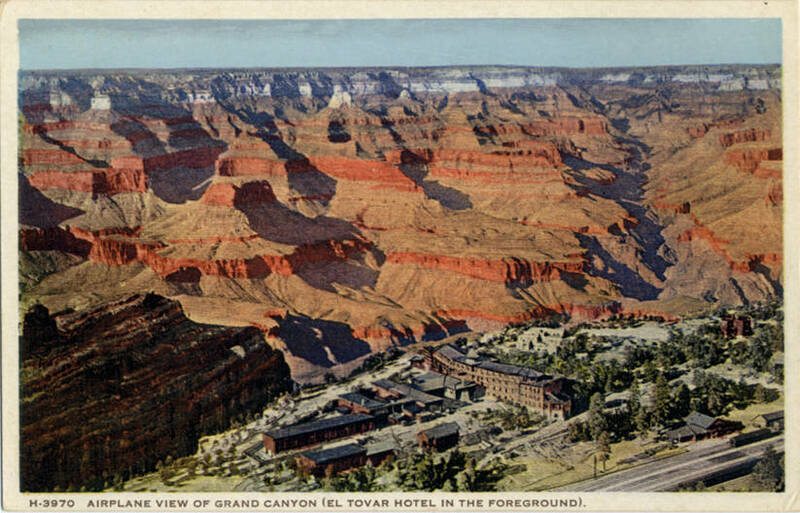 By 1905, the lavish El Tovar Hotel was completed through a partnership with the railroad company and the Fred Harvey Company, the premiere provider of luxurious service for hotels and restaurants at the time. The Santa Fe then organized an expedition of artists to create works of art for use in the railroad’s extensive Grand Canyon marketing campaign. The company selected five of the most famous and prominent artists of the time, who each were asked to paint Grand Canyon scenes using their own unique vision and style. The five were Elliott Daingerfield, Thomas Moran (who had visited and painted the Grand Canyon before, in 1873 and again in 1901, in very different circumstances), Dewitt Parshall, Edward Potthast, and Frederick Ballard Williams, the creator of Burke Mountain, the first painting bought for HMA’s collection. From their headquarters at El Tovar, the artists were driven three miles to Hopi Point for their first dramatic introduction to the Canyon. With eyes closed they were led to the rim, “that the vision might burst upon them for the first time in its entirety." Nina Spalding described what they saw when they opened their eyes. A most unusual sunset… the sky along the horizon was as red as a pigeon-blood ruby; it was as though the sun shone through a stained glass window. … Slowly the color faded from the sky and the distant towers and domes changed from pink to blue, leaving the pinnacles alone crested with light as though illumined from within. Great purple shadows gathered at their foundations. The awful depth became mysterious and terrifying and no sound was heard save the rushing of the wind through the pines and a far away murmur of the Colorado river a mile below. No word was spoken on the homeward drive. The group stayed at the Canyon for ten days. 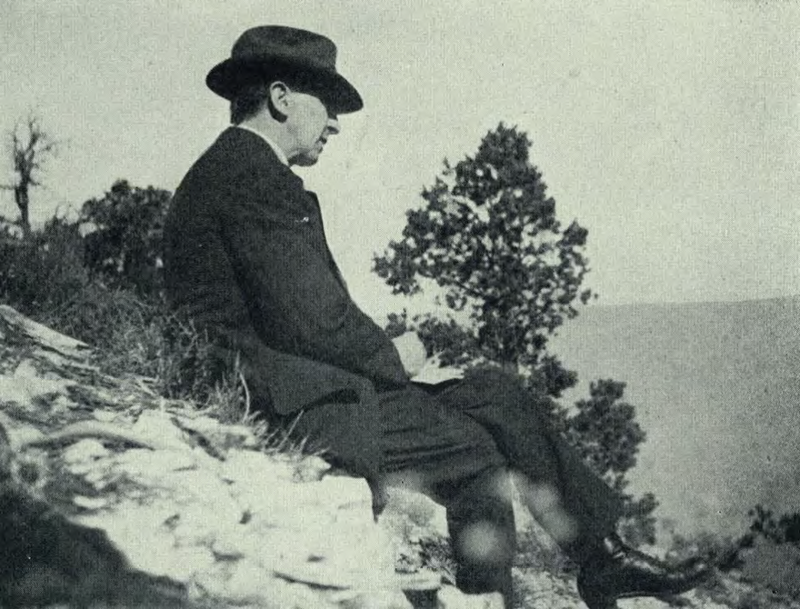 Daingerfield was so enchanted by the Grand Canyon that he went back in 1913, bringing his whole family and paying for the trip himself. 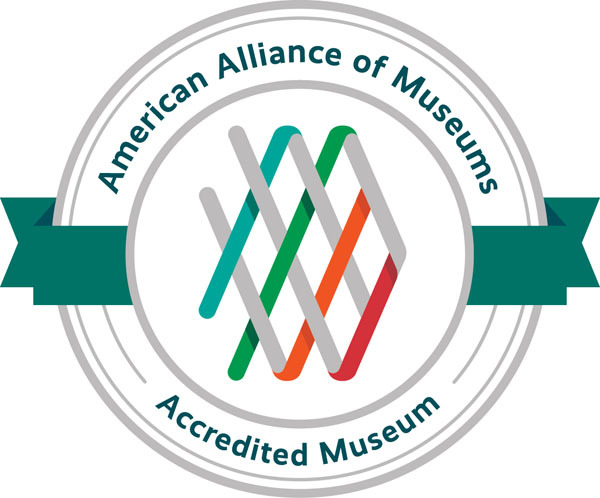 From research by Jon Carfagno, HMA Executive Director and curator of the HMA exhibition A GRAND VISION: Elliott Daingerfield Paints Grandfather mountain and the Grand Canyon (December 8, 2018 - April 20, 2019), and by Kristina Anthony, HMA Exhibitions Manager.. This post is # 19 of the 75 stories to celebrate HMA's 75 years.